Is your smile incomplete? VL Dental can help you change that with a popular and versatile dental implant restoration. At our practice, we are committed to lifelong learning. Developing and expanding our dental implant skills through continuing education has allowed us to safely and effectively offer our patients this amazing alternative to traditional tooth replacement. Since their introduction to dentistry in the 1970s, dental implants have quickly become the preferred alternative to traditional bridges and dentures. Dental implants have a structure that mimics that of a natural tooth. As a result, patients can look forward to results that look and feel much more natural. Call VL Dental today to reserve your implant consultation. Our office in Richmond, TX is proud to offer full-service implant dentistry to patients from Pecan Grove, Sugar Land, Rosenberg, Crabb, Booth, and all nearby communities. We look forward to serving you! Implant posts replace the roots of lost teeth, ensuring your restoration will look, feel, and function just like healthy, natural tooth structures. 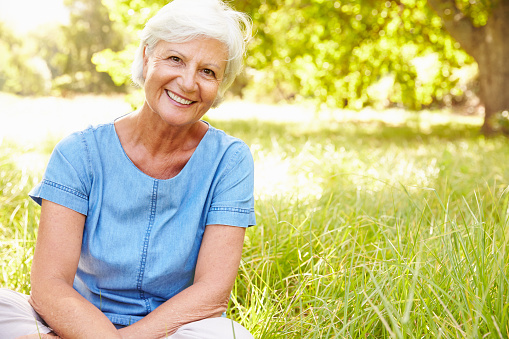 With the prosthetic root system in place, your supportive bone and gum tissue will receive the necessary stimulation to avoid resorption, the loss of soft tissue volume or jawbone density. Fully self-supported, implant-retained restorations do not rely on surrounding teeth or oral structures for support the way that traditional bridges or dentures do. That means you retain the optimal level of healthy structure and avoid any unnecessary tissue loss. After twenty years, implant supported replacement teeth have a 90 to 95% success rate. Traditional replacement teeth need to be repaired or replaced every five to ten years in order to ensure the optimal level of healthy function. Some people are able to maintain their implant supported replacement teeth for the rest of their lives. The dental implant procedure is completed in two phases. In the first phase of treatment, our Richmond, TX dental team will surgically place one or more implant post(s) in your jawbone. Not every dental practice can help patients with the first phase of treatment and need to refer patients to a specialist. 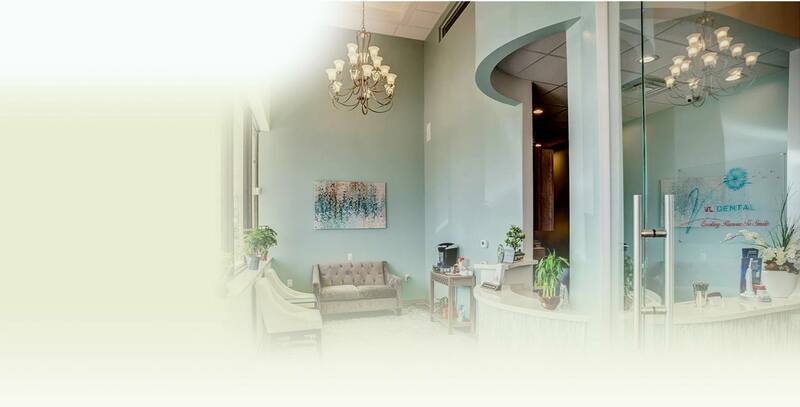 At VL Dental, you can have your surgery completed in an office you already feel comfortable in, with a dental team you already know and trust. The number of implants you receive will depend on the number of teeth we’re replacing. One implant will anchor a single crown while multiple implants will anchor a partial or full denture. Once your procedure is complete, you’ll have time to recover before seeing us for the next phase. During your recovery, the bone tissue in your jaw will begin to fuse with your metal implant(s), creating a solid and very natural bond that will give you lifelike results when your entire treatment is complete. In the restoration phase of treatment, our team at VL Dental will attach your new prosthetic. This service is versatile enough to be used by patients who need to replace just a single tooth, multiple teeth, or a full arch. In every case, our team will create a customized design that our lab will then use to craft a high-quality prosthetic. To replace one lost tooth, a dental implant post will be used to support a custom crafted dental crown. To replace several consecutive teeth, an implant supported fixed bridge will be recommended. These bridges are supported by two dentures, one at each end of the restoration. An implant-retained partial denture is used to replace multiple consecutive and nonconsecutive teeth. Partials are molded to fill in the gaps in your smile, and we can usually support them with just two to four implant posts. One or both full rows of teeth can be replaced with an implant supported denture. For most patients, dentures are anchored with just four to six strategically positioned dental implants, recreating healthy form and function. Before starting any implant procedure, we'll create a personalized treatment plan using some of our office's most advanced tools. With digital radiography, for instance, we capture clear images of your mouth that will make it easier to plan exactly where your implant(s) will be placed. This level of planning lets us provide our patients with a more comfortable procedure and a quicker recovery. If you're considering dental implants, let Richmond dentist, Dr. Vong, complete a full oral health assessment for you. Dental implants aren't right for every patient. During your visit to our Richmond office, we can assess your health and the strength of your jaw to determine if implants are what you need. If we need to, we can recommend an alternative solution because we are committed to helping our patients achieve their healthiest smiles. Your dental implant supported tooth replacement will vary in price based on a number of factors like how many implant posts are needed, what materials and manufacturers are used, and what type of replacement prosthetic is needed (crown, bridge, partial, or full denture). Other variables that influence the price of implant restorations include the need for preparatory tooth extractions or tissue grafts and the price of abutment posts. We’ll walk you through each step of the treatment process and explain the costs of each before we begin your treatment. Whenever possible, we’ll process and file dental insurance claims to minimize your out of pocket treatment costs. In many cases, we can also help you apply for low or no interest financing options to spread the costs of your dental implant tooth replacement plan out over several months of smaller payments.